Registration with senangPay is quick and easy. It is either from the senangPay website or here, from this page. 1. 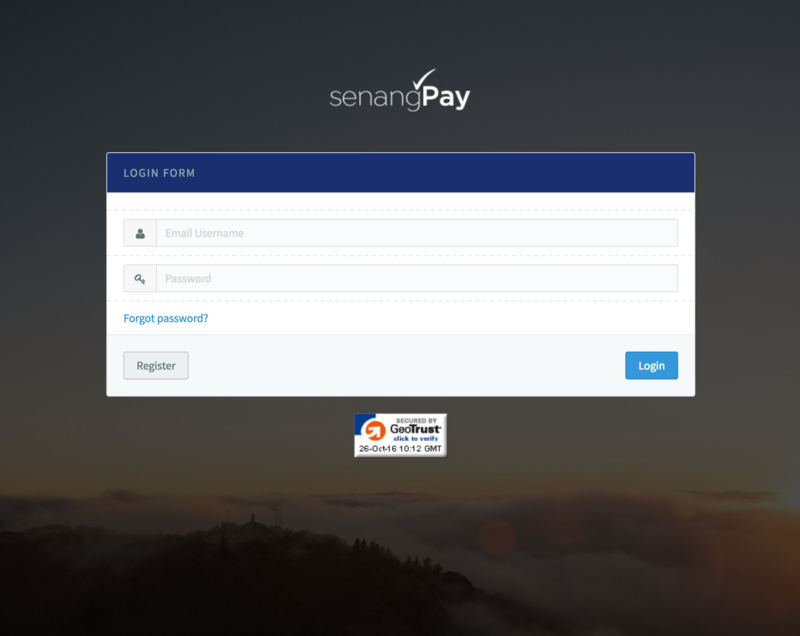 Simply go to http://senangpay.my and click the registration button. 2. Or, simply click http://register.senangpay.my if you already know and have read senangPay fees and features. 3. 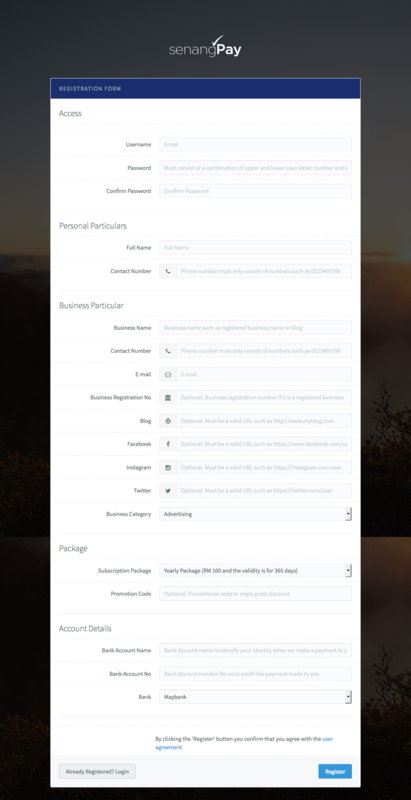 Submit all your business / organisation related document to us via dashboard. Below are the screenshot of the registration form after you click on the “Register” button. 1. When you fill in the registration form, insert your email address as the username.